As a private patient at Linden House, you may pay for your treatments on a fee per item basis (payable on each day of treatment). After your dental examination, you will be given an indication of your recommended treatments (if required) and charges. 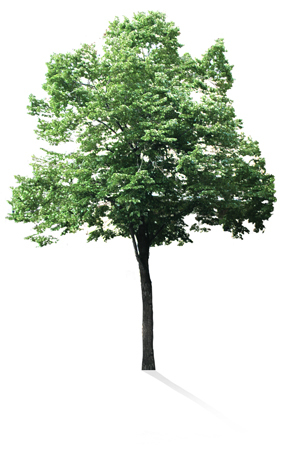 Our fees are listed overleaf – we are happy to accept cash, cheques and major credit/debit cards. Patients who are members of Simply Health or Hospital Plan schemes may be able to claim back pay-as-you-go fees up to policy limits. Denplan Essentials allows you to make regular affordable monthly payments by direct debit to help you budget for dental treatment. The average cost is 31 pence per day, based upon ‘Group A membership’. Group B membership is 54 pence per day. All routine and preventive dental care is included in your monthly fee; check ups, x-rays, scaling and polishing or other hygiene treatments and preventive advice. Denplan Essentials has many other benefits including family discounts, 24 hour worldwide emergency helpline, temporary emergency treatment when away from home or abroad # and payment towards ‘out of hours’ call out fees. The cost of fillings, crowns, surgical procedures cosmetic treatment etc. is not covered by Denplan Essentials. However, we offer special discounted rates for this treatment. Please pick up a Denplan Essentials brochure at reception. If you wish to include fillings and other Dental treatments in your Denplan policy, please ask your dentist about Denplan ‘Care’. 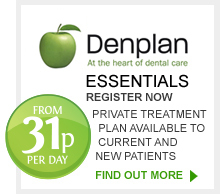 DenPlan Essentials allows you to make regular affordable monthly payments by direct debit to help you budget for dental treatment. The average cost is 39 pence per day. All routine and preventive dental care is included in your monthly fee; check ups, x-rays, scaling and polishing or other hygiene treatments and preventive advice. Denplan Essentials has many other benefits including family discounts, 24 hour worldwide emergency helpline, temporary emergency treatment when away from home or abroad # and payment towards ‘out of hours’ call out fees. discounted rates for this treatment. please ask your dentist about Denplan ‘Care’.